We have our own collection of brewing yeast cultures, that currently contain 15 reference strains obtained from research centers in Europe. 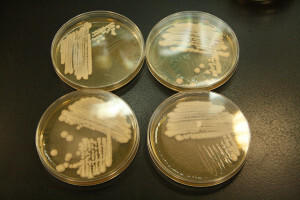 The yeast strains are preserved in standard conditions of deep-freezing (-80 °C), which provides them a genetic stability. Currently, our offer consist of liquid yeast in 30 ml vials, dedicated for home brewing. In the long term, we also intend to produce on a larger scale to be equal to the demands of craft breweries. We are able to conduct series of biochemical and microbiological analysis, which provides a better control of beer production in brewery.